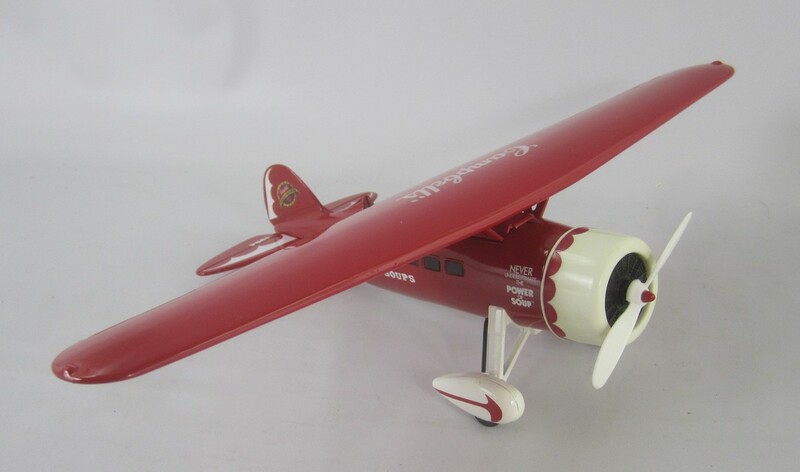 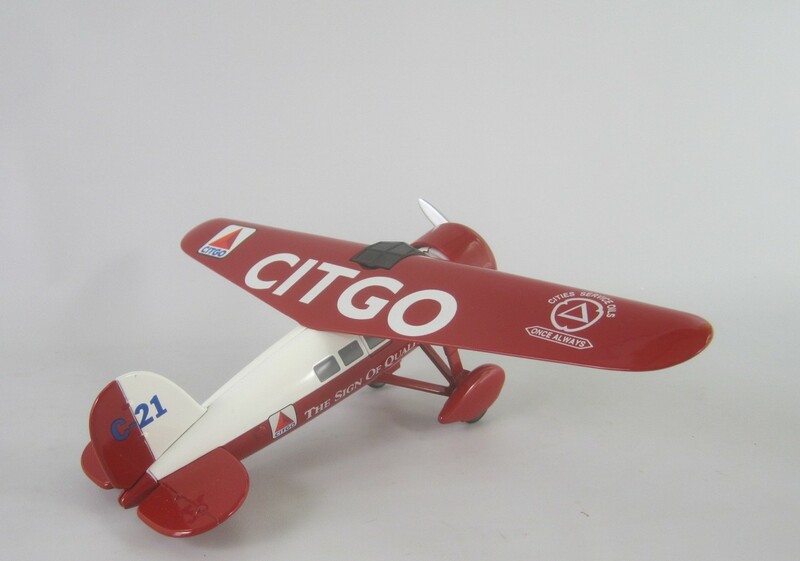 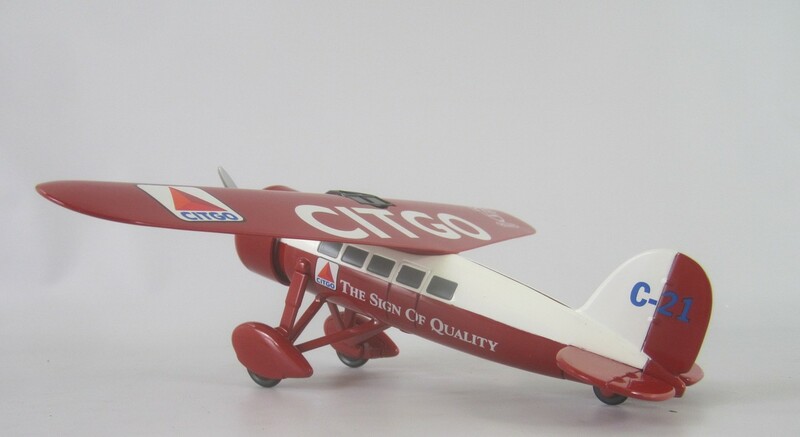 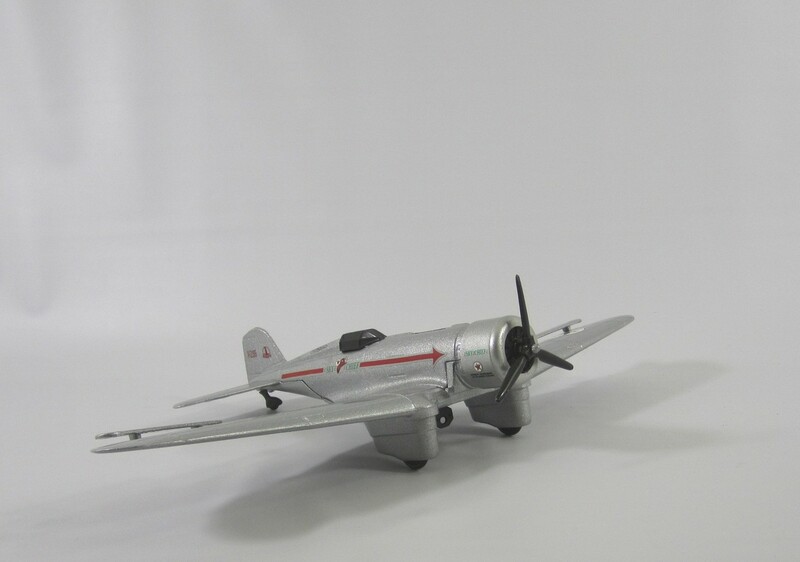 SpecCast Stk# 35001, 1932 Lockheed Vega Highwing diecast airplane bank. 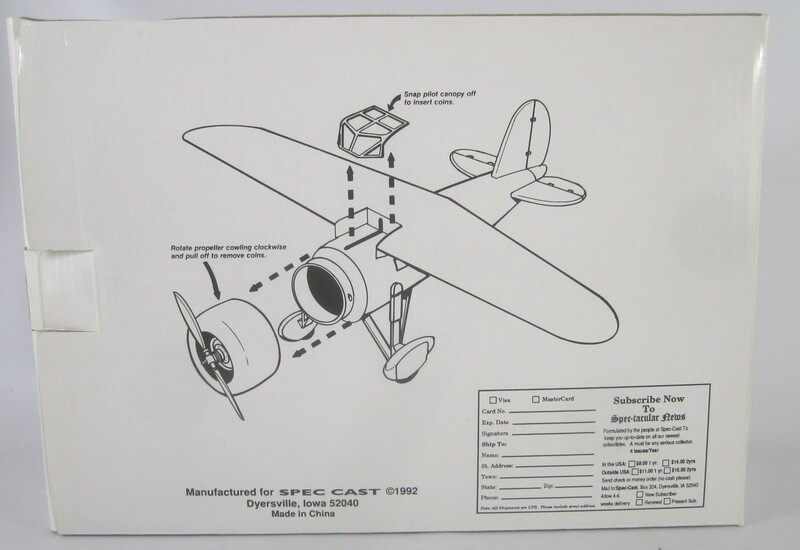 Made in 1992. 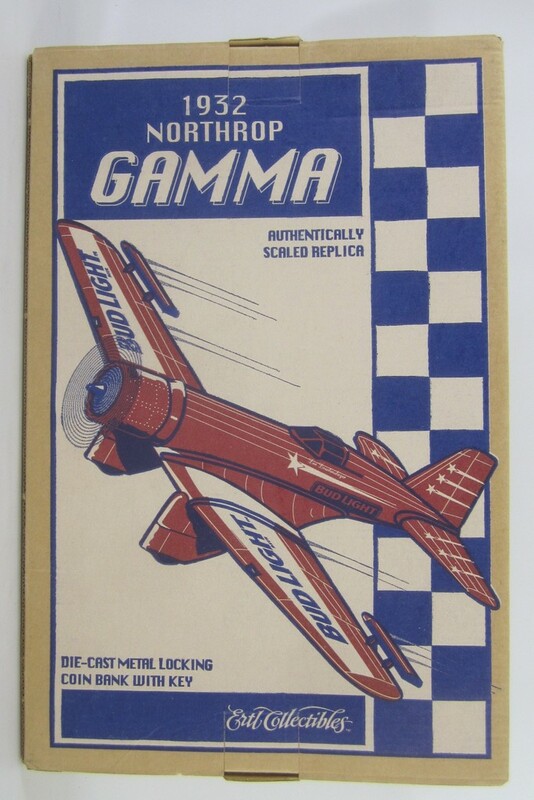 Limited edition, Pad Printed Graphics and baked enamal finish. 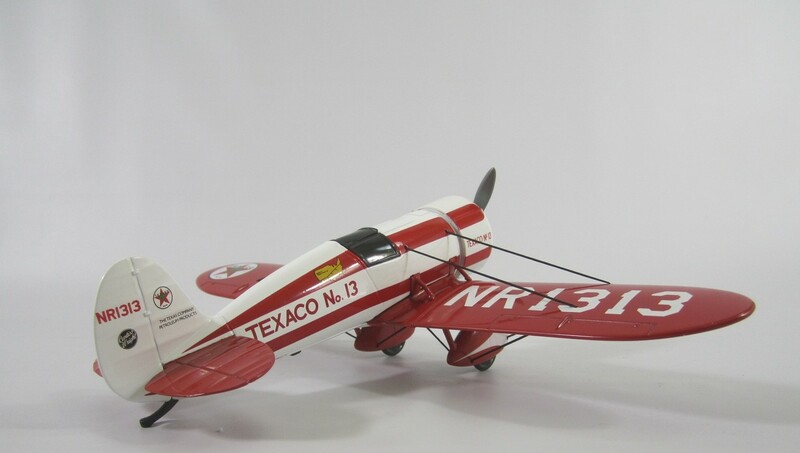 Nice detailed model. 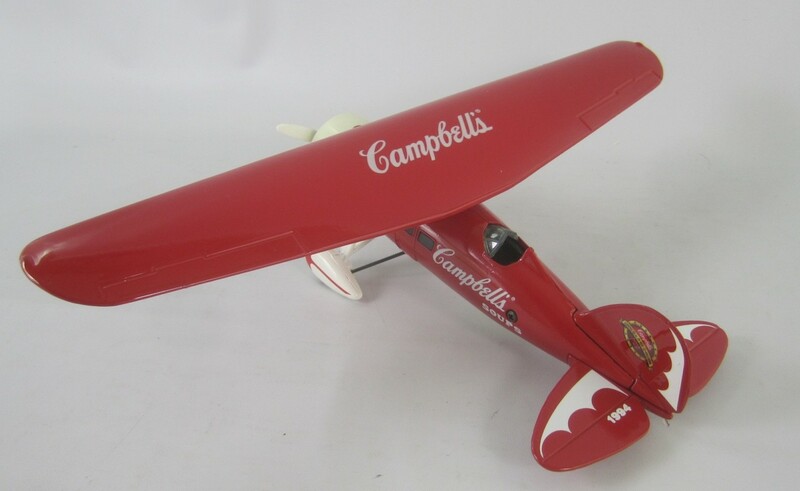 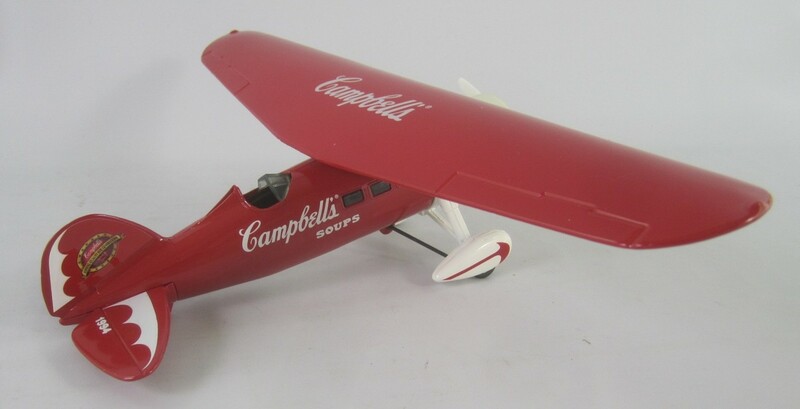 Ertl Stk# B620 Campbell's 1929 Lockheed Air Express diiecast metal airplane coin bank. 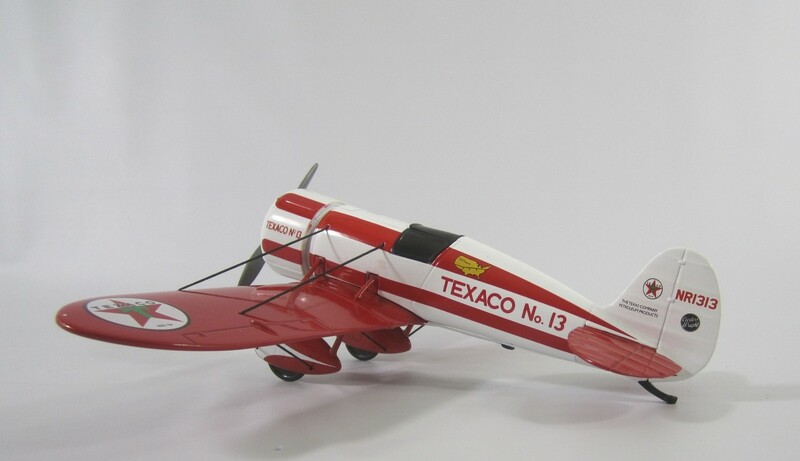 Scales out at about 1/43 scale. 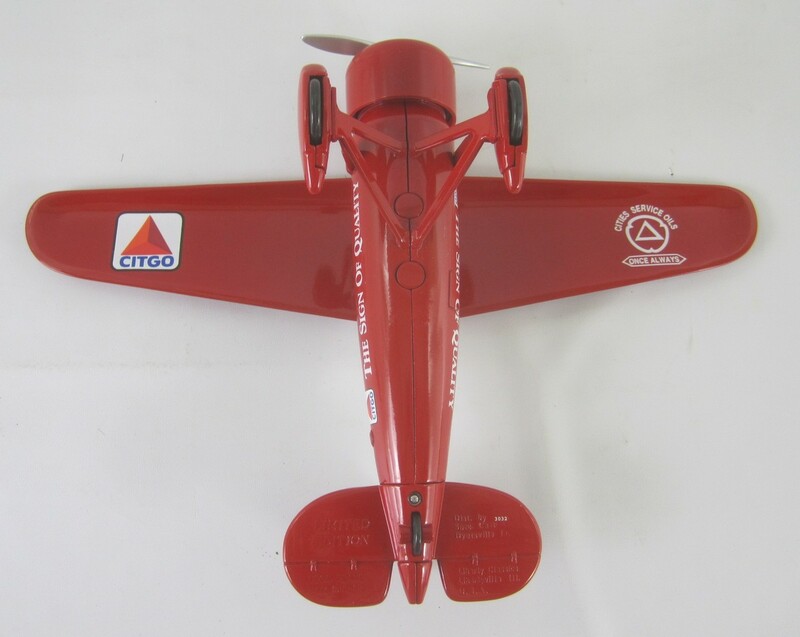 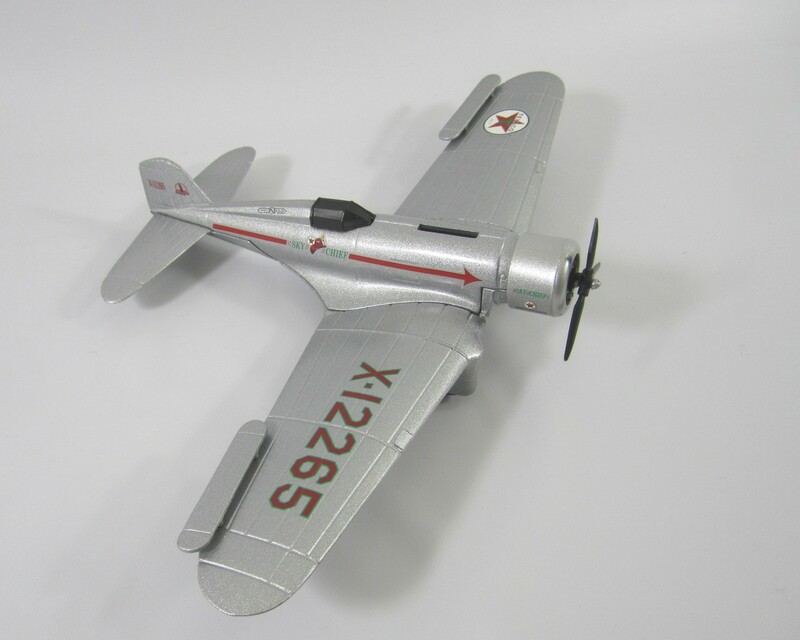 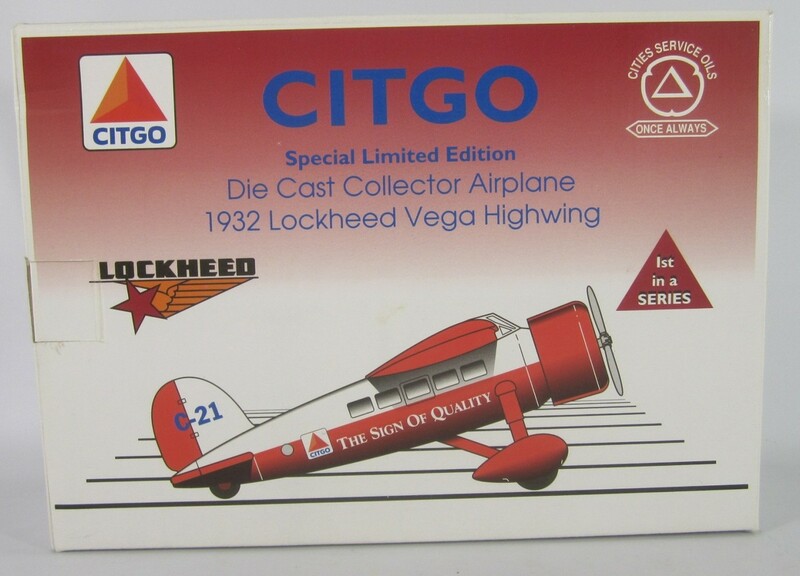 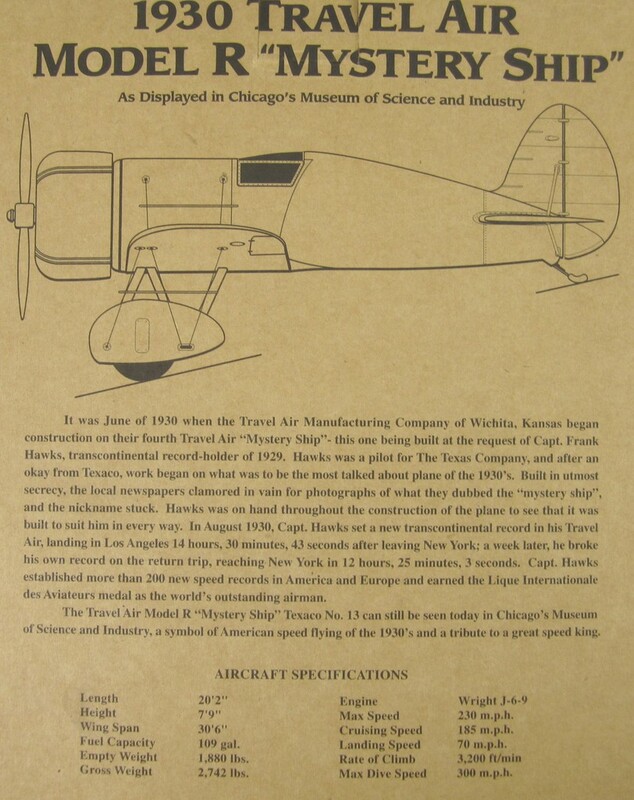 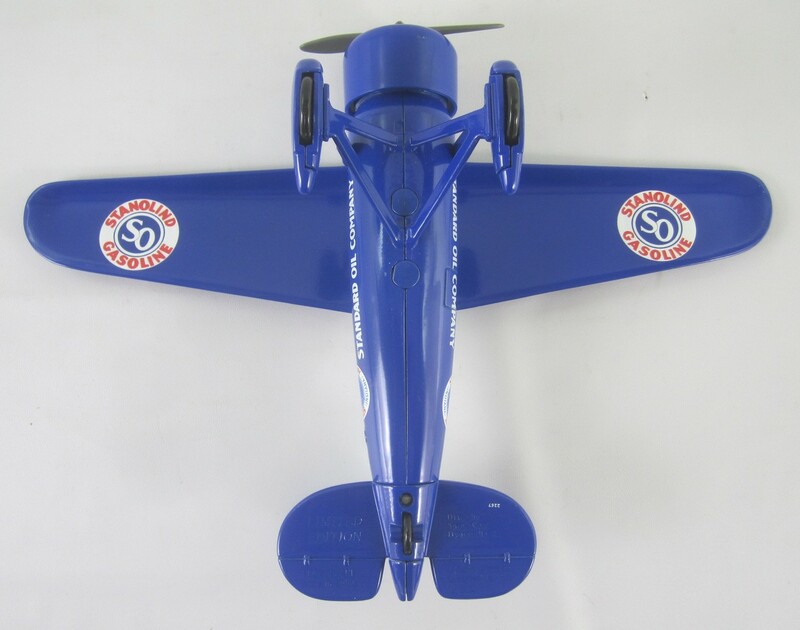 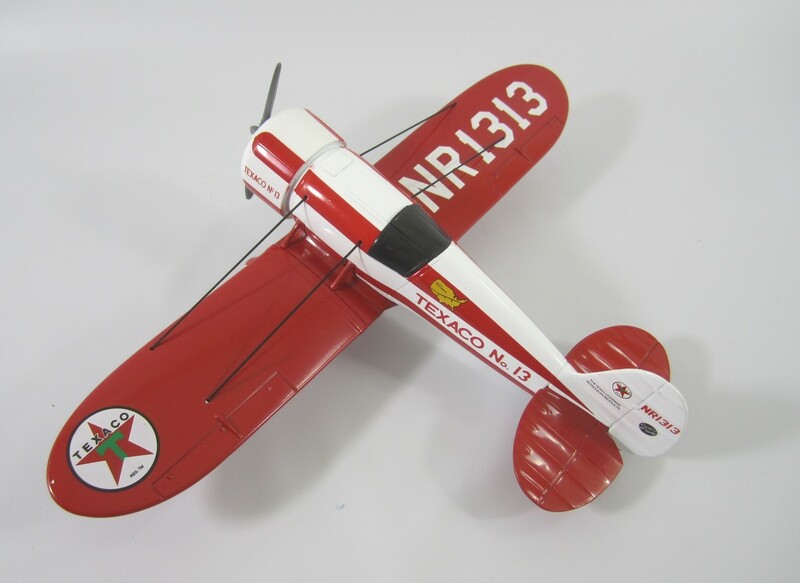 SpecCast Stk# 35012, 1932 Lockheed Vega Highwing die-cast airplane bank. 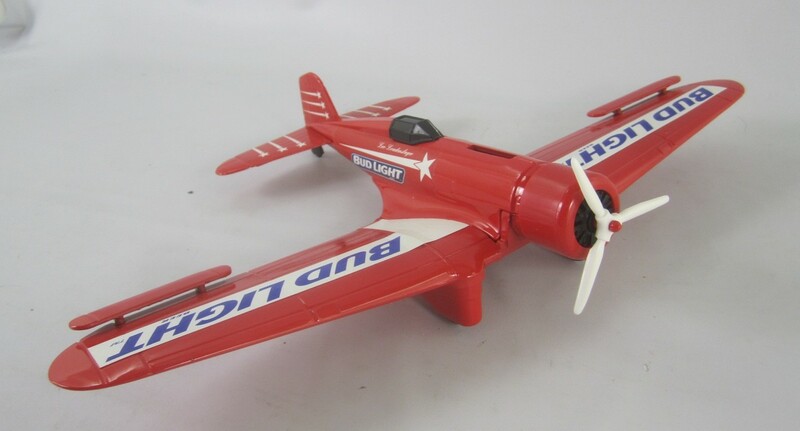 Made in 1992. 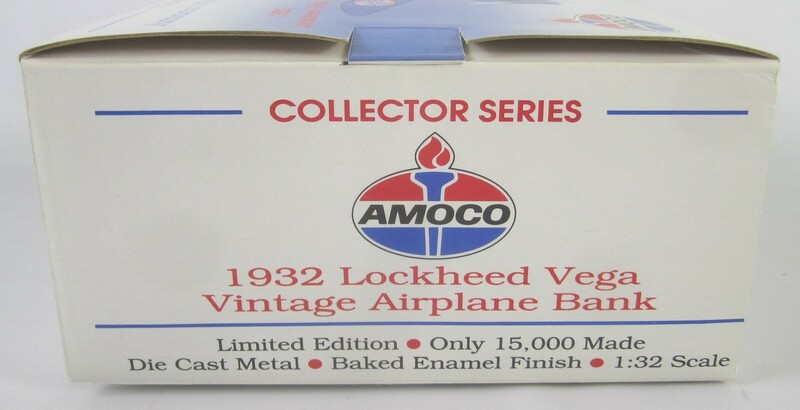 Limited edition, Pad Printed Graphics and baked enamel finish. 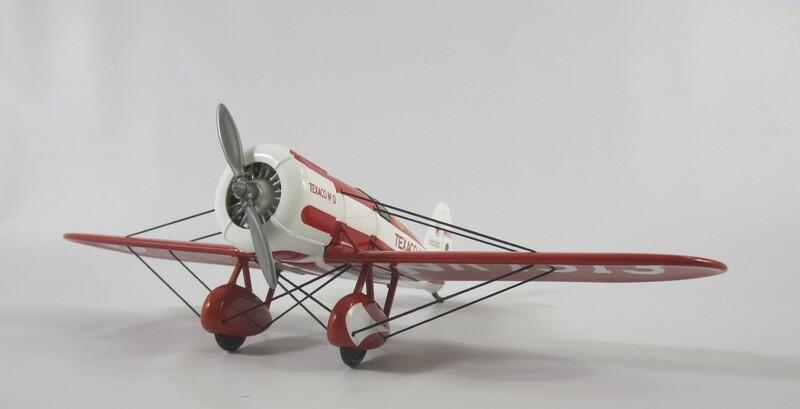 Nice detailed model. 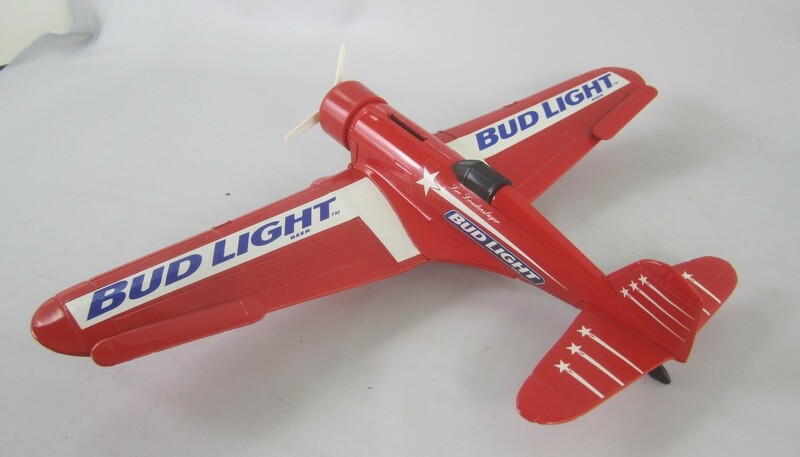 Ertl Stk# F241 Budweiser Bud Light 1932 Northrop Gamma die-cast metal airplane coin bank. 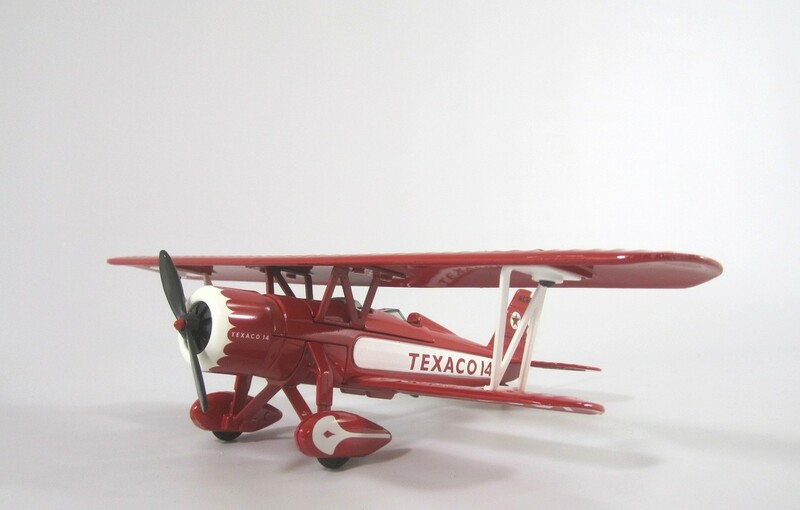 Scales out at about 1/45 scale. 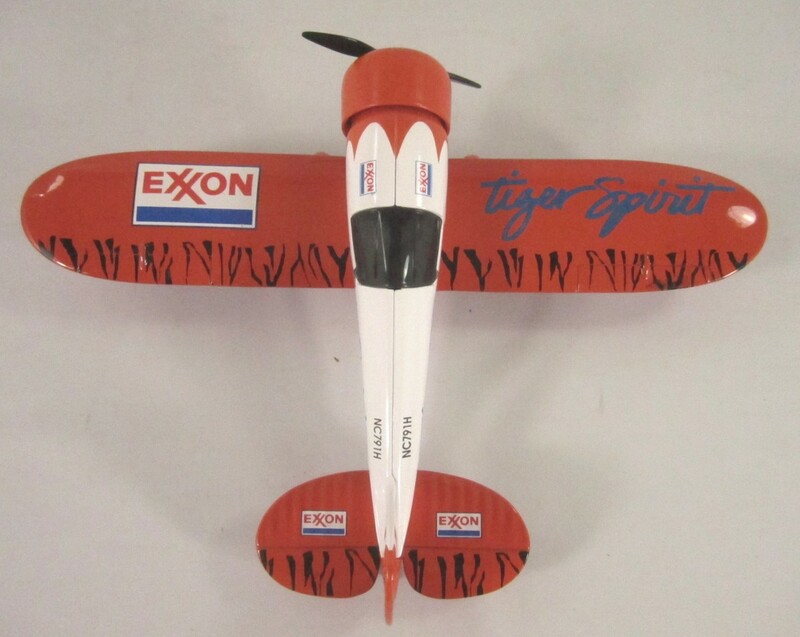 Wing Span: 13 1/4 in. 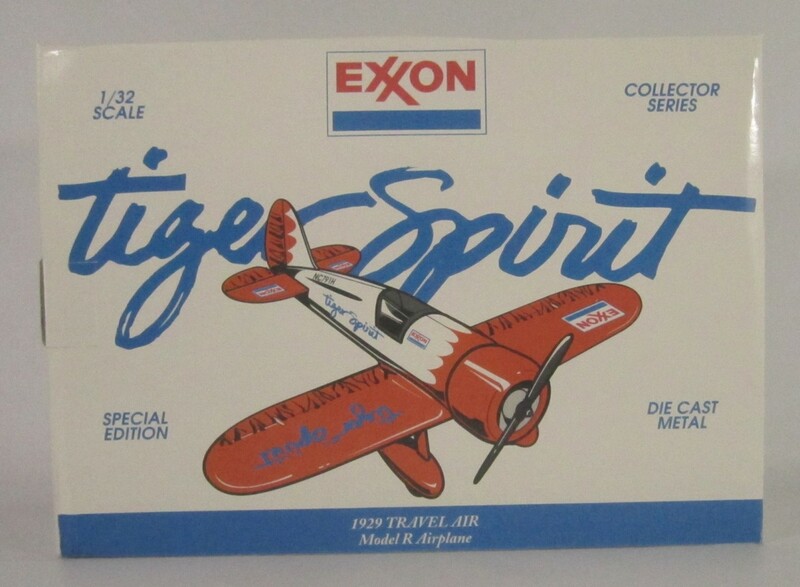 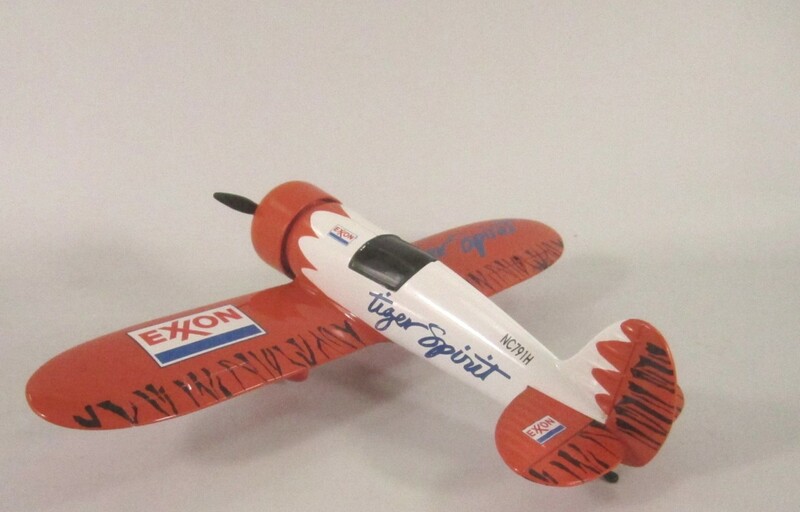 SpecCast Stk# 40014 Exxon Travel R diecast airplane bank. 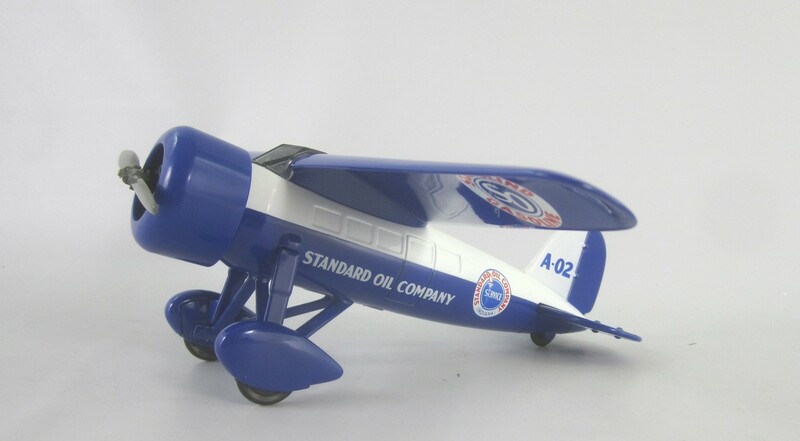 Made in 1992. 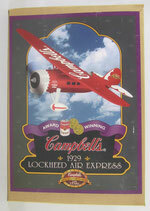 Limited edition, Pad Printed Graphics and baked enamel finish. 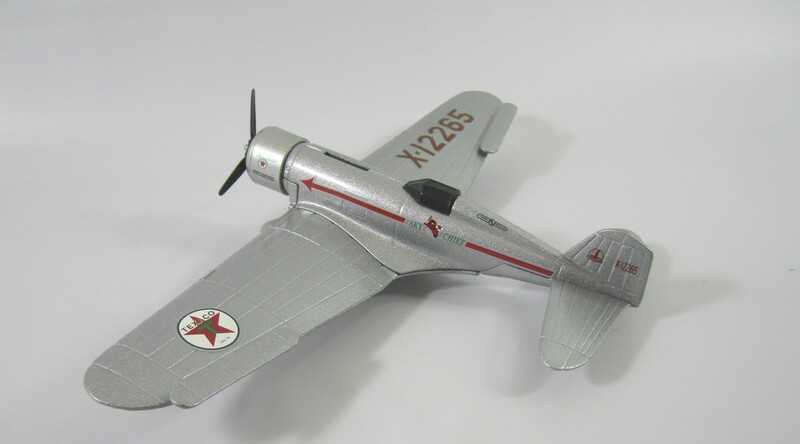 Nice detailed model. 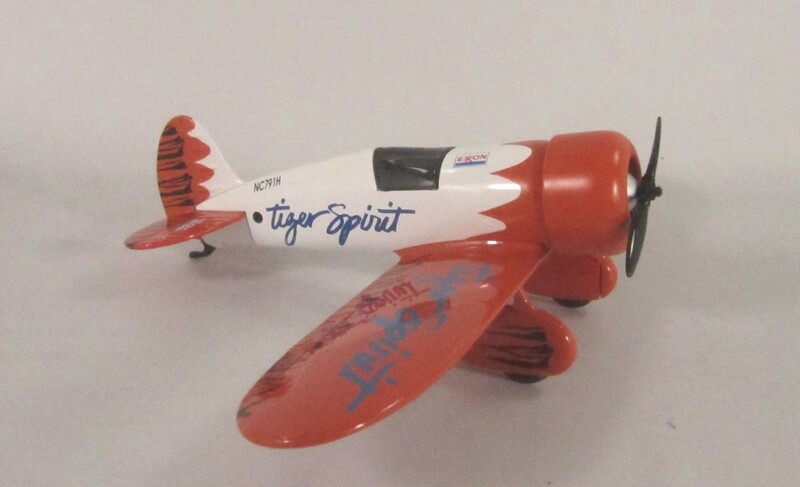 Tiger Spirit. 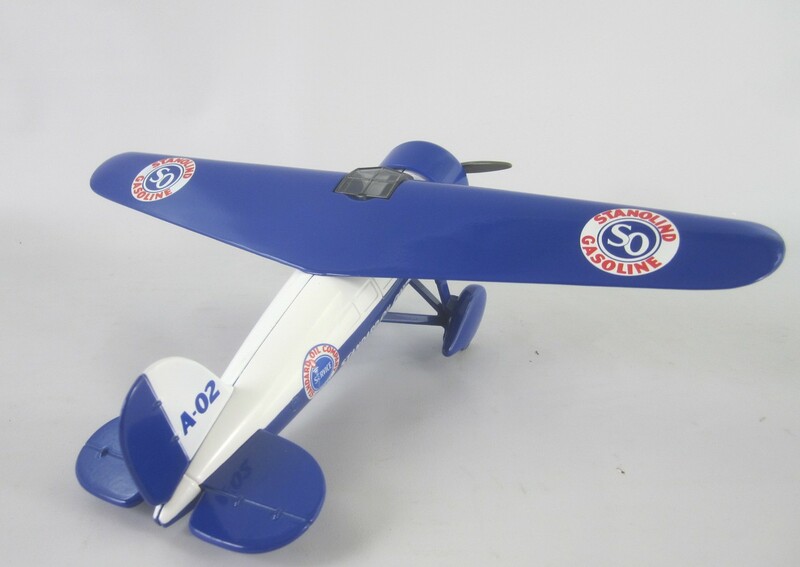 1/32 scale, 11 inch wingspan. 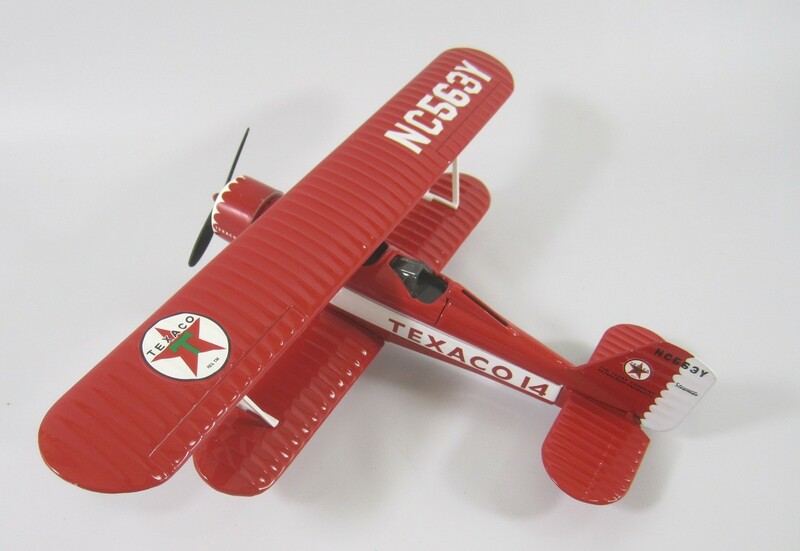 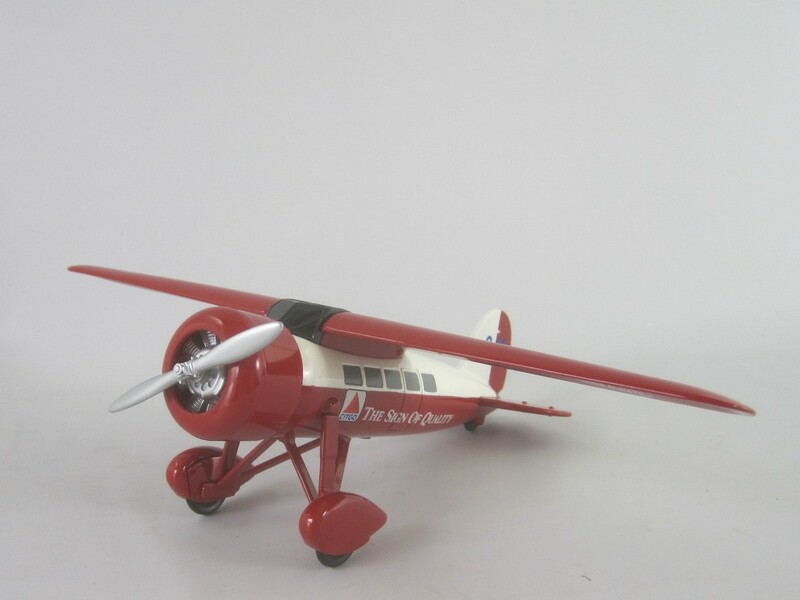 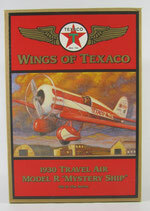 Ertl Stk# B223 Wings of Texaco 1932 Northrop Gamma die-cast airplane bank. 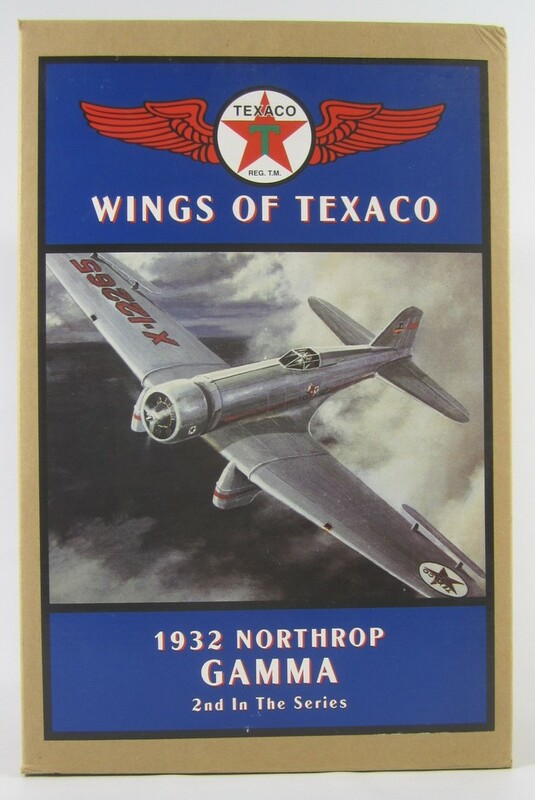 Made in 1994 as the 2nd in the series. 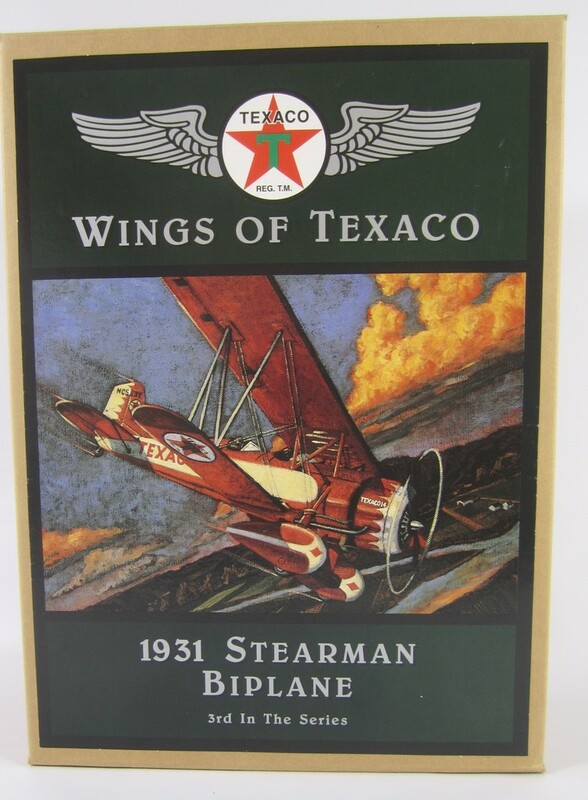 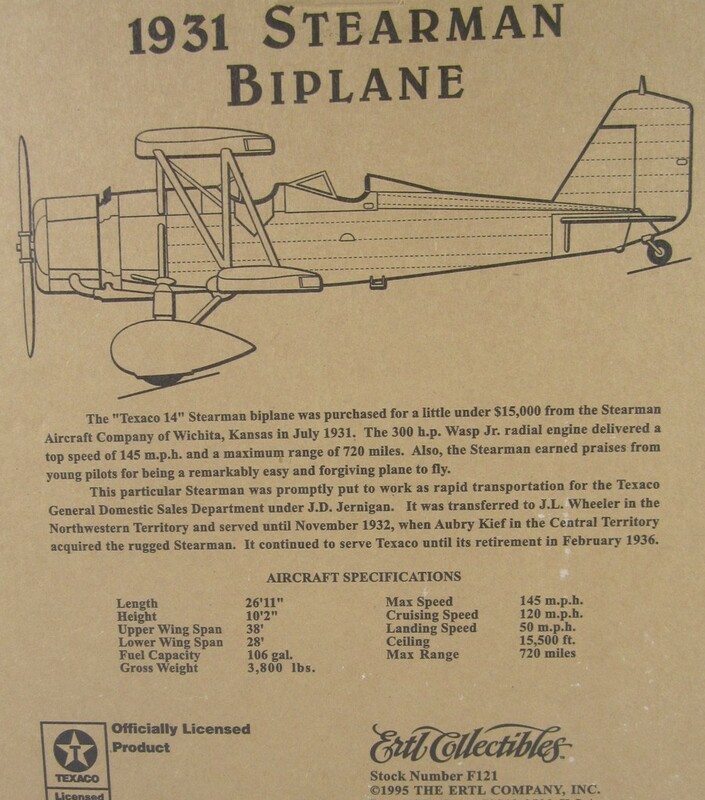 Ertl Stk# F221 Wings of Texaco 1931 Stearman Bi-wing die-cast airplane bank. 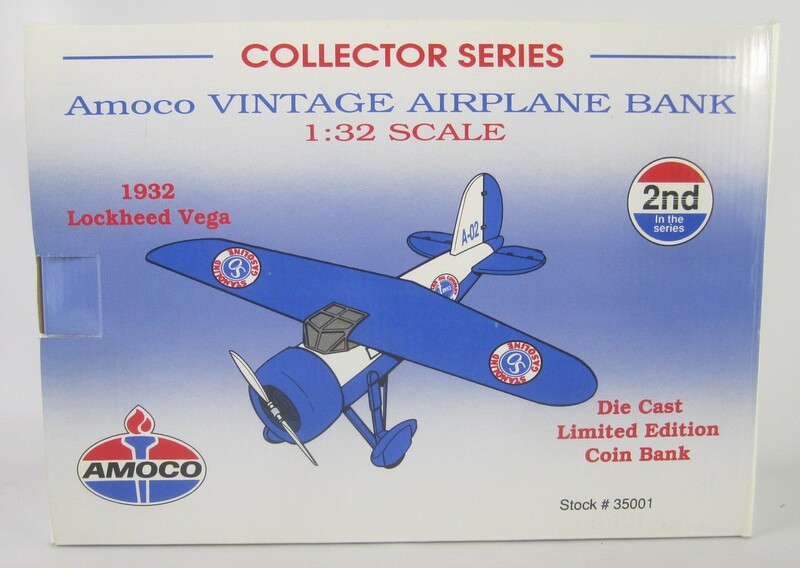 Made in 1995 as the 3th in the series. 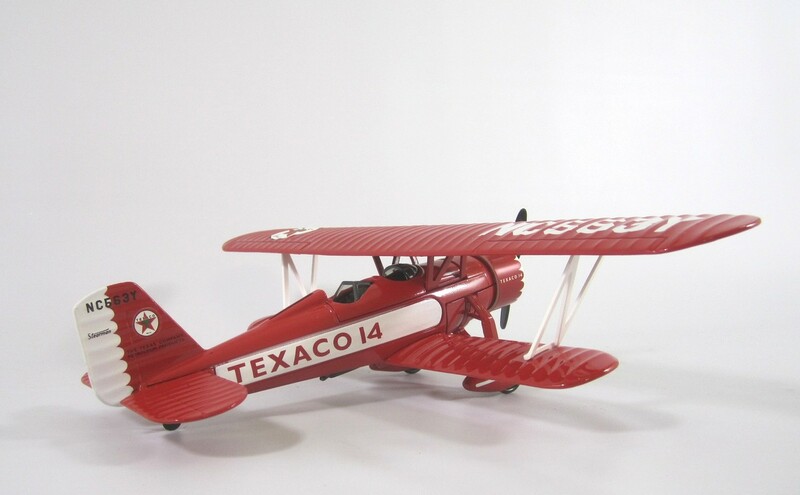 Texaco No 14 . 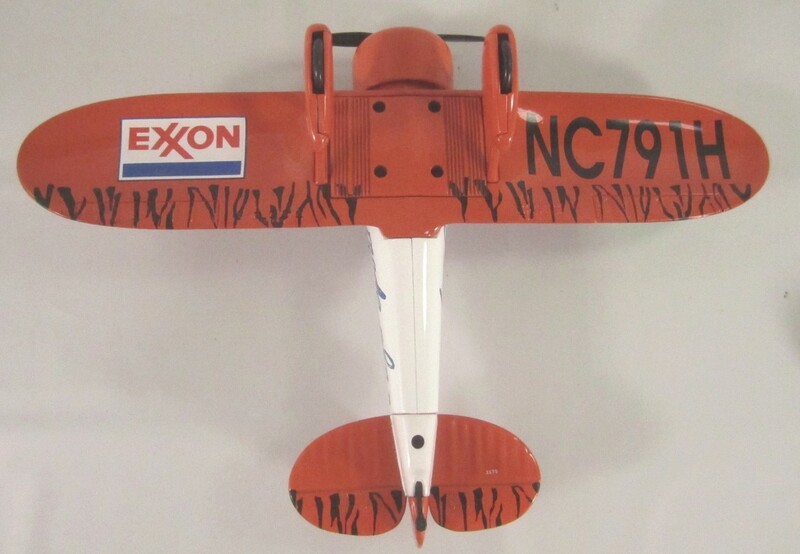 Wing Span: 11 3/4 in. 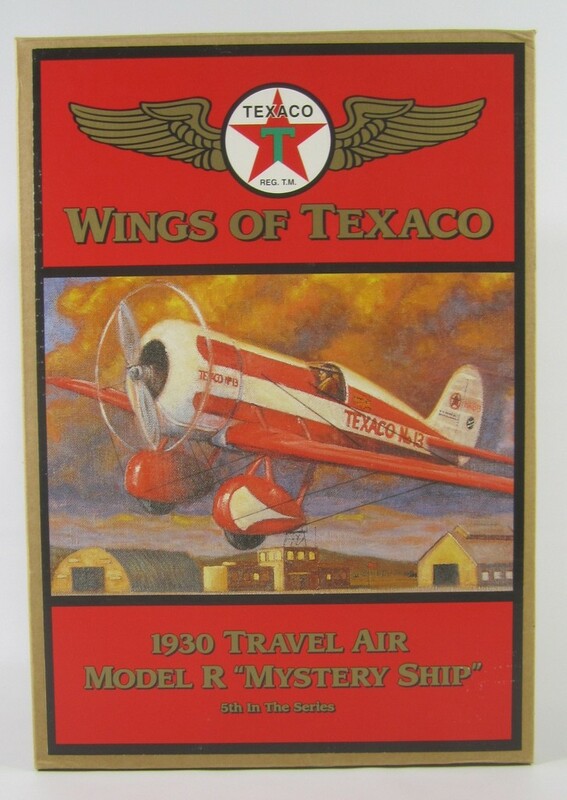 Ertl Stk# H501 Wings of Texaco 1930 Travel Air Model R Mystery Ship die-cast airplane bank. 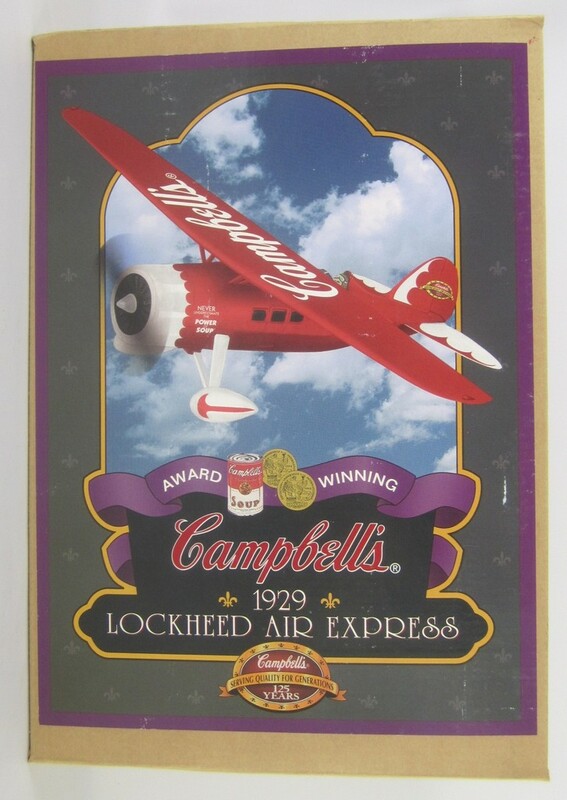 Made in 1997 as the 5th in the series. 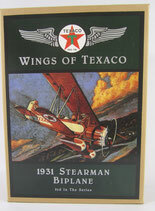 Texaco No 13. 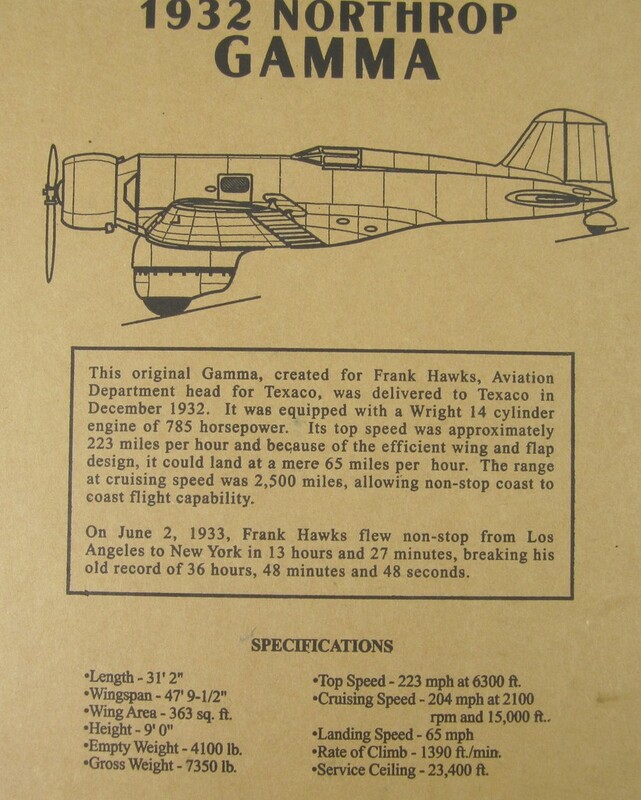 Wing Span: 12 1/4 in.